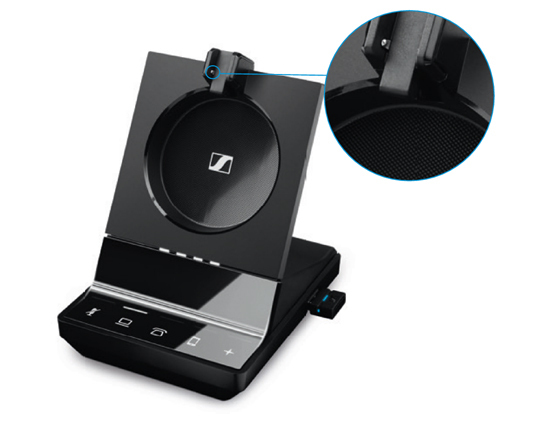 The new Sennheiser SDW 5000 wireless DECT headset Series lives up to the promise of a truly mobile, collaborative workplace and is designed with the future’s business communication in mind. Security is a primary concern for a company’s IT manager. DECT Security certified, the SDW 5000 Series’ enhanced security features 128-bit authentification and industry-leading Protected Pairing technology to keep communication confidential. The USB port for Bluetooth® can be disabled in restricted areas. The SDW 5000 Series has been validated by an independent accredited test laboratory as being fully compliant with the comprehensive security features required by DECT Security Certification. 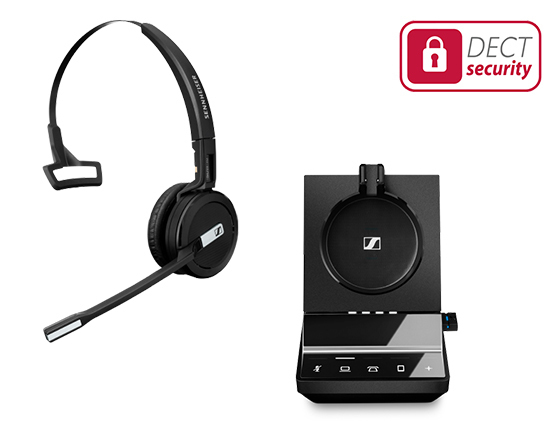 Sennheiser’s SDW 5000 Series has a Protected Paring process that ensures its superior security. 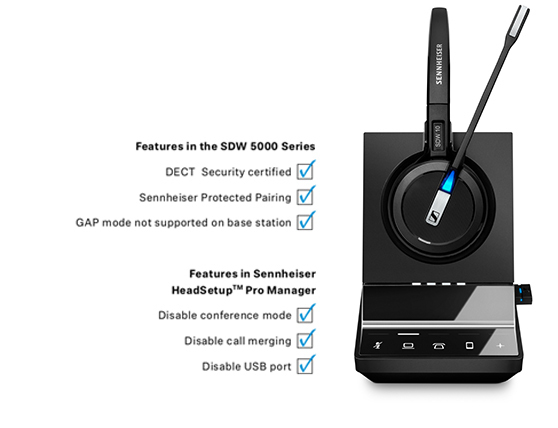 When pairing headset to the base station for the first time, the SDW 5000 requires the transfer of pairing data (or the Master Security Key) using a physical connection via the charging terminals. This makes it virtually impossible for a third party to ‘sniff’ or intercept the pairing data from a remote location. For each headset paired to a base station, a unique Master Security Key has to be generated in this way. 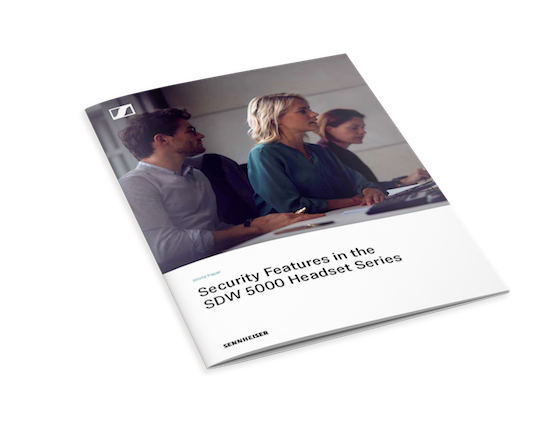 The SDW 5000 Series is one of the most secure solutions of its type available today: It uses advanced security protocols to ensure that business conversations remain confidential.